Looking for NC Blue Ridge real estate in the Blue Ridge Mountains? 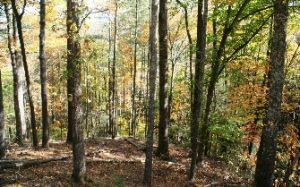 We have several properties and homes for sale in the Blue Ridge areas of Wilkes, Ashe, Watauga and Rutherford Counties. In these counties, you can find sleepy mountain towns as well as booming smaller cities with plenty of attractions and fun activities. More and more people are discovering Wilkes County and Ashe County, which have been the more rural counties in this mountainous region. In Ashe County, towns like West Jefferson and Jefferson have grown into large towns; the smaller areas like Fleetwood, Glendale Springs and Todd still offer residents plenty of privacy with their rural locations. In Wilkes County, you can find lots to do in North Wilkesboro, with its shopping opportunities and many parks. In the warmer months, residents can enjoy W. Kerr Scott Lake, a beautiful mountain lake that is a favorite for many on summer weekends. The High Country towns of Boone, Blowing Rock and Valle Crucis are all located in Watauga County and offer plenty to those lucky enough to live here. The mountain lifestyle found in the High Country is really like none other and one can enjoy virtually any outdoor activity imaginable. Hiking, biking, snow skiing, kayaking, golf and horseback riding are all fun activities that you can enjoy while seeing the many views of the Blue Ridge. 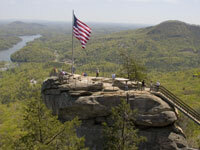 Rutherford County NC has a lot to offer, and the beautiful areas of Lake Lure, Chimney Rock and the unique mountain towns like Rutherfordton make this area an extra special place. If you enjoy the small town lifestyle then you will love Rutherford County! These areas of Western North Carolina are wonderful places to live. With friendly people, beautiful landscapes and a mountain lifestyle most only dream about, you will love the NC Blue Ridge real estate found here. Contact us for more information; our staff is happy to help find the perfect Blue Ridge Real Estate.